Visit our membership registration page to sign up to become a member, renew your existing MRHA membership, or create an account if you've already paid your dues. What is the The Milwaukee Railroader? The Milwaukee Road Historical Association publishes a high-quality, color-filled 48 page quarterly magazine about the Milwaukee Road written and produced principally by MRHA members. 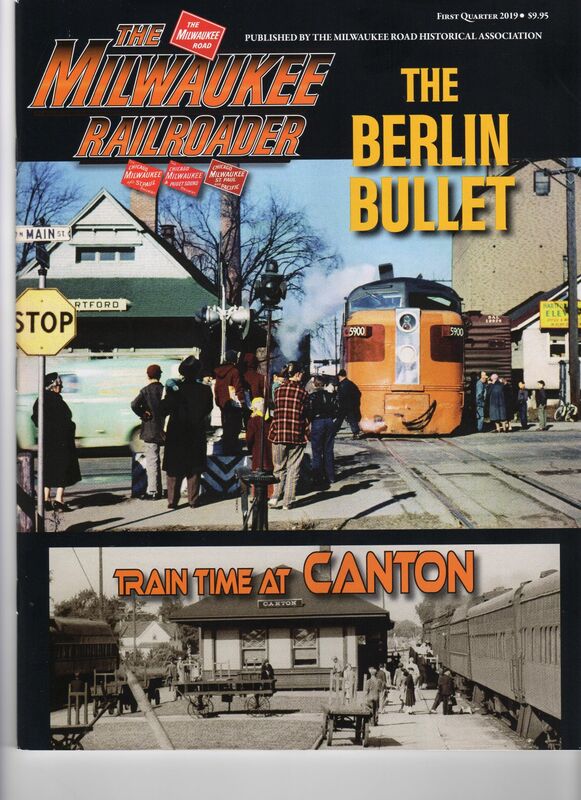 The Milwaukee Railroader contains articles tailored for historians and for modelers. The TMR reviews new books and tapes about the Milwaukee Road, and it reviews new models of Milwaukee Road equipment and structures. It keeps you up to date on what's happening to the parts of the Milwaukee that are incorporated into other railroads You'll learn who has Milwaukee Road materials to sell and who might want to buy what you have to sell. Your subscription to The Milwaukee Railroader is included with your membership. * The "Deer Lodge Hiawatha"
This issue, along with other back issues are available for purchase in the Company Store. The TMR is included with your MRHA membership.